graeme swann | Make Time For Sports. Graeme Swann is still not convinced that Alistair Cook is the best thing to happen to English cricket especially when it comes to ODI cricket. “Real mates are honest with each other. I’m no longer in the England dressing room and it is my job now as a pundit to give my honest thoughts. I texted Cooky after the Test series victory over India saying I was proud of the way he conducted himself but that he should get away from the one-dayers as quickly as possible. I think being one-day captain is a poisoned chalice for him. He just doesn’t need the job. The cricket England are playing in 50-over cricket is outdated and I fear it will be a painful winter for the team. I don’t want him to be part of it. This is not a witch-hunt against ‘Cookie’ and I’m still a huge supporter of his captaincy in Test cricket. But, in one-day matches, I want England to play the exciting cricket they promised six months ago when Peter Moores took over as head coach. We’re happy to tootle along in a two-litre diesel in a Formula One race. If England do badly in the World Cup Cooky will be back to where he was earlier this summer when some people were waiting for him to mess up. He should be resting now, making sure he is fully recharged for the 17 Test matches England have next year. Graeme Swann makes no apologies for his remarks concerning Kevin Pietersen’s leadership in his autobiography,The Breaks Are Off. I completely stand by what I said that Kev is not a natural leader of men. I only know two people from my time who I’d put in that category. One is Stephen Fleming and the other is Andrew Strauss. It’s that rare. You can have good captains but to be an absolute natural leader, like a Mike Brearley, is a rarity. 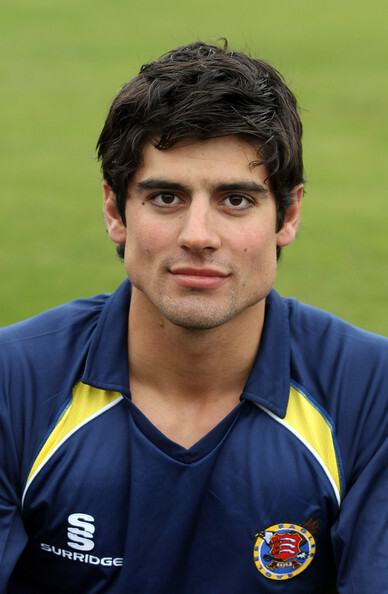 I certainly don’t consider myself one when I’ve captained and I don’t think Alastair Cook is. He’s a good captain but it just doesn’t come as naturally to him. Straussy was born to be England captain. Fleming was born to be a captain. I just don’t think people took what I wrote in context. What it boils down to is that it can be OK to do a book but make sure you don’t say anything – and that’s not me. I would never forgive myself if I went through my career kowtowing to people and being a yes man. And I would never have forgiven myself if I’d pulled my punches. It’s an honest book and anyone reading it will realise that the one person getting assassinated in it is myself. I rip myself to pieces because that’s how I feel about my career before it took off. I look back in embarrassment at a lot of it and I want that to come across. I don’t want to pretend I’ve always been in the right and everyone else has been wrong. I fully realise you’re responsible for everything in your life and I live by that. English cricketer Kevin Pietersen makes his moments count. After guiding Graeme Swann’s T20 side to its only victory on Indian soil in the return series, the South-African born player communicated his views about the off-spinners autobiography. 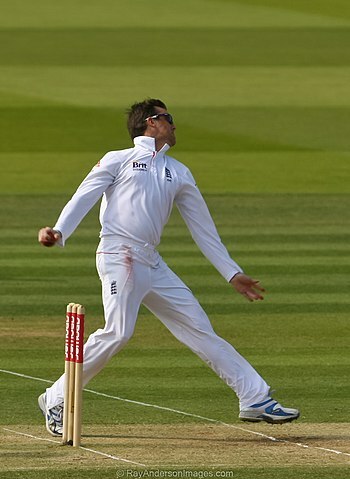 Swann criticised Pietersen’s leadership in his book, saying he should never have skippered the English side. Graeme Swann clears the air on the controversy surrounding Kevin Pietersen’s portrayal in his autobiography, “The Breaks Are Off”. Swann, in his book, dissed the No.4 saying he was not a natural leader and should never have been made skipper. Swann is skipper of the T20 side and needs Kevin Pietersen to fire on all cylinders to salvage a disastrous ODI tour of India where the visitors were thrashed 5-0. When I wrote the book it was certainly not a character assassination on anyone. It was certainly not more than myself. So I did not feel the alter the timing of its release. It was an opinion of mine some years ago. Some people chose that for a headline of me slamming (Pietersen). A few more people could have seen it the way it was and they would have realised it was not a character assassination. I personally don’t think that it’s a good idea for current players to be talking about their fellow players. The written word does come across very, very differently — when you can’t judge a person’s tone — and particularly with Swann’s words, that is an accurate and important point. 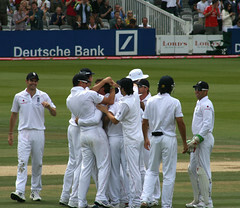 English cricket team director, Andy Flower, is unequivocal that Graeme Swann was inappropriate in his criticism of then skipper and fellow teammate, Kevin Pietersen, in his autobiography, “The Breaks Are Off”—serialised in an English daily. Swann is severe on Pietersen terming him the wrong person for the job. Flower, however, brushed aside suggestions that the book has caused strife within the team. When Kevin was competing in the game any -comments in a book had no place in his mind. I expect him to score runs, that is why we pick him. If we didn’t expect it we wouldn’t pick him so I look -forward to him doing that soon. I personally disagree with -current players making comments about their team-mates. My personal opinion is that it is not the right thing to do. I don’t think the commercial opportunities are that important to be honest. However, I think Pietersen has handled it very well and he and Swann get on fine. I think he has handled it very maturely and there aren’t any issues arising from it. Graeme Swann reflects on his former, ‘loony’ self. English off-spinner, Graeme Swann, while thrilled to lead national T20 side, believes that his younger self would not have found a place in the side—under him. 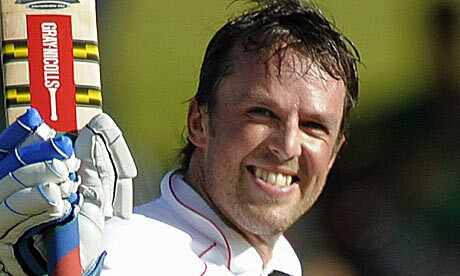 But the one regret I have about the young lunatic Graeme Swann is that there was not much Twenty20 around then. I’m sure I would be pretty good at it because I could bat in those days. I would have had a way of staying in the England squad for a few years while I developed my skills in the longer form. The T20 skipper admitted that "the young lunatic is still in there, but I manage to hide him most of the time." No one would have believed this five years ago, least of all myself. It’s surreal in a way, but I have always harboured ambitions of captaining at first-class level and it is nice that I have got a chance if only for a couple of games to show the inner workings of my mind. It’s a reactions game. You can start with grandiose plans about how you want to start and they can change quickly. I am not sure it will be too maverick or out of the box, but I like to think I will be attacking. It is important in this form of the game to take wickets. That is what won us the World Twenty20. It is the biggest game in the short format and somewhere down the line we will have to treat it a bit more seriously and play series of Twenty20 games.We are world champions but going into Sri Lanka we will only play half a dozen games or so in this format before that World Cup starts. For every touring team that comes over it will not be frowned upon if there was a three-game ODI series and a three-game Twenty20 series. That makes more sense than five one-dayers. "I dedicate the series win to London zoo. Had a great time there with Wilf and Mrs Swann yesterday." Graeme Swann, the self-appointed funny man in the English cricket squad, tweets his dedication of the ODI series win over India.